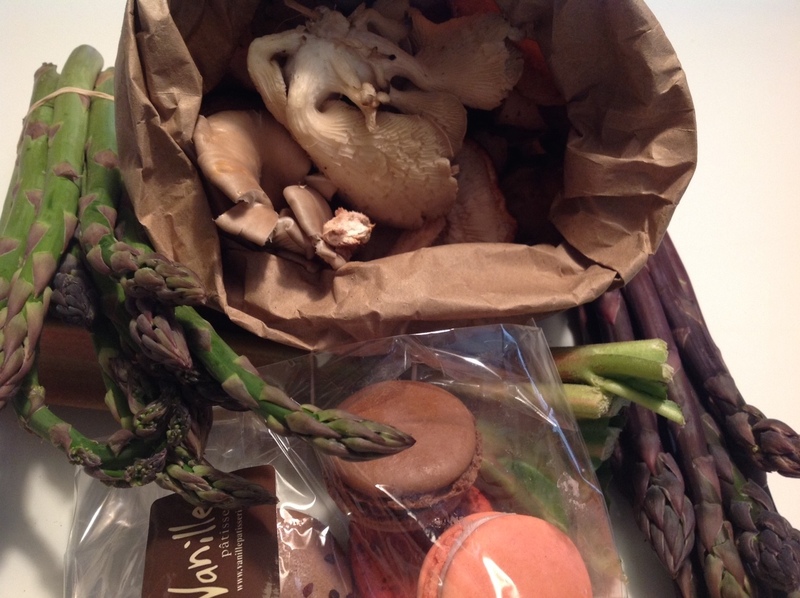 We decided against a third season of the CSA. As awesome as our experience was last summer, I missed lazy Saturdays at the farmer’s market. Our weekly shares were so bountiful that there was simply no need to bother. The mushrooms and asparagus went into this Food Network recipe I bookmarked a couple of weeks ago, for Creamy Farfalle with Cremini, Asparagus and Walnuts. I’m using the rhubarb tomorrow for the rhubarb blueberry muffins I featured in this April post. I can’t wait to head back to the market next week, and am hoping garlic scapes will make an appearance. Fingers crossed. We took a break tonight from working through the mounds and mounds of lettuce in last week’s CSA for the two top jewels (for me): purple asparagus and goat cheese. I was worried about the asparagus, which had been standing in a shallow cup of water in the refrigerator since last Friday. I threw one stalk away, but the others seemed firm enough still to grill. I brushed them lightly with olive oil, seasoned them with sea salt, and tossed them on the grill when the chicken breasts had reached 155 degrees. The timing was perfect — the asparagus was finished just as the chicken hit 165. But the pièce de résistance was definitely the goat cheese I sprinkled on top. 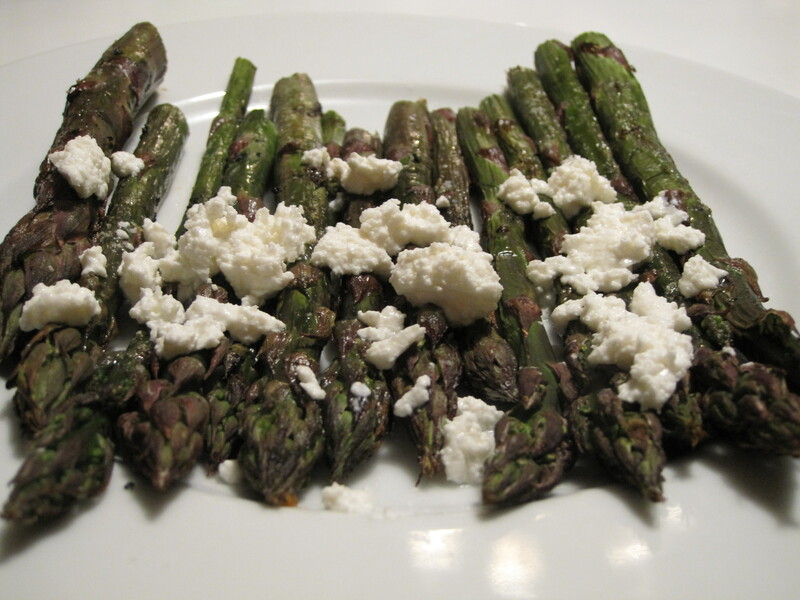 Truly farm fresh, and really soft and creamy, it was the perfect complement to the asparagus. I was tempted to eat more than my share.